Many employers tend to take current processes for granted. Not intentionally. They just get into the habit of doing things one way - the same way, day after day and have come to accept the same “satisfactory” outcome. In one way, they’re never disappointed. In another, they could potentially be losing out on having much more efficient systems and more efficiency means increased revenue. Change is never easy, but face it - if your practice is not moving forward, it’s either sitting still or… yikes, in reverse! A simplified “SWOT” analysis examination of your workflow allows you to reorganize those systems. Systems that are no longer effective due to medical advances, new technology, new staff, compliance requirements, and marketing techniques should be upgraded with more timesaving, economical ones. This change is crucial and one option is to hire a consultant to make that happen. Alternatively, here’s an easy 6 step guide that will allow you to conduct your own DIY workflow evaluation. 1. Identify those process you want to evaluate. Some examples might be…Could phone calls be handled more effectively to drive more patients to the practice? 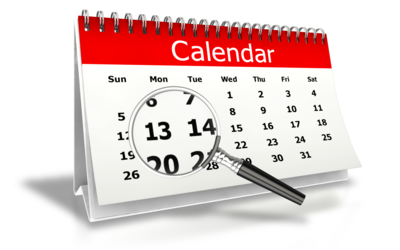 Who’s managing the schedule – your office or the patients? Are you interrupted too frequently in the treatment room? Are important messages not being received? Do lab tests occasionally get lost? Orthotic calls not being made in a timely manner? Charting delayed? Insurance delays? New patient calls and paperwork snafu’s killing patient flow and causing unnecessary delays? Are policies doing what they’re supposed to? These are only a few things you’ll want to assess. Receptionist documents (and enters into EMR system) their name, address, phone number, insurance info, medical problem. Patient is asked if they have internet access and if so…can they visit website to fill out paperwork? Patient is prompted to provide insurance cards, ID, completed paperwork to office on day of appointment. Patient is thanked for calling, appointment is re-stated and receptionist waits for patient acknowledgement. 3. What can be done differently to save wasteful steps and make the process more functional? Staying with the above example…since many new patients will simply forget to arrive with their completed paperwork (and have to spend additional time in your reception room re-completing it), it would be beneficial to check with your website or EMR company to see if they can fill their paperwork out on line and immediately return to office via a secure patient portal. This can end up saving time for the office (at least 15 minutes in most cases) and make it more convenient for the patient (and you). The office would also benefit from telling patients with internet access that they need to go to your website for the registration forms (as opposed to asking them). 4. Consider the practicality of the change. Who will it affect and how? What are the potential problems? Risks? Benefits? Are the associated costs sensible? What additional training is involved? Will it increase flow efficiency? 5. Try it out and get feedback. Put the new system in action; tap into staff for any identifiable snags and suggested last minute changes and finally, survey (or even just ask) patients about their overall experience. Make subsequent changes based on their feedback and the performance of the new system. 6. Don’t stop there! Move on to the next issue in the practice. Lather, rinse, repeat.